Kathleen T. Horning does not work for, consult, own shares in or receive funding from any company or organization that would benefit from this article, and has disclosed no relevant affiliations beyond their academic appointment. There’s a lot of attention right now on diversity in children’s books – or, more accurately, the lack of it. It’s not a new problem. White people have been talking about this issue since Nancy Larrick published “The All-White World of Children’s Books” in Saturday Review back in 1965. People of color have been aware of it for much longer. So what has happened over those past fifty years? There was a flurry of activity in the mid-1960s when children’s book publishers actively sought out new authors and illustrators of color. Authors and artists who went on to become the greats of the field – Virginia Hamilton, Mildred D. Taylor, Walter Dean Myers, Leo & Diane Dillon, and Tom Feelings – published their first books. And librarians and teachers (who represented the lion’s share of the market for children’s books) purchased their books to share with children. Educators began to evaluate books with a heightened social consciousness. 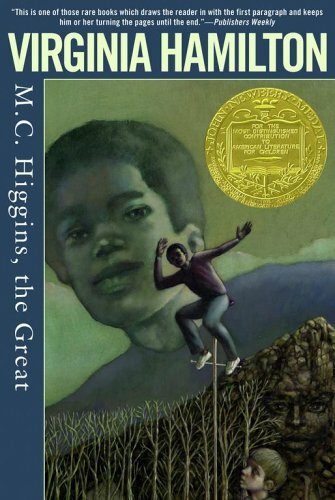 In the mid-1970s, for the first time, African-American authors and illustrators won Newbery and Caldecott Medals. These are the most prestigious awards in children’s literature and the only ones that have a lasting impact on book sales, because the Newbery and Caldecott books stay in print for decades. For this reason, publishers seek to publish books that have a chance to win these awards, and it’s common practice to publish books that mimic – in some form – the most recent winners. So when books about African-American characters started to win the Newbery and Caldecott Medal, publishers began to release more books with African-American characters. Fast forward to 2014, when another op-ed piece by Walter Dean Myers appeared in the New York Times. “Where Are the People of Color in Children’s Books?” he asked. He quoted statistics from the Cooperative Children’s Book Center, the library where I work, that showed little had changed in the twenty-five years since Myers first wrote about the issue. The face of America is changing fast. According to Pew, the 2014-2015 school year is projected to be the first that will have more children of color in our public schools than white children. So why haven’t children’s books changed? It comes down to economics. Children’s book publishing is a business. The people who work in the industry are, for the most part, caring people, but they don’t always have a lot of leeway when it comes to the bottom line. They have to sell books. So who’s buying children’s books these days? Fifty years ago, children’s librarians in both school and public libraries were the main consumers. They accounted for a large share of the market. But as school and library budgets have been slashed, they’ve had less and less buying power. They know there is demand for more diverse literature, but without the budgets, they can’t make as big an impact on book sales. At the same time school and library budgets were being cut, the mega-bookstores, such as Barnes & Noble and Borders, entered the picture. They were less likely to stock books by and about people of color (unless, of course, they happened to have won the Newbery or Caldecott Medal). Take a look around the children’s section at Barnes & Noble and you’ll still see a mostly all-white world. You can’t buy what you can’t find on the shelf. Last spring at BookExpoAmerica’s BookCon – the trade show of US publishers – a panel of the top children’s authors consisted entirely of white men. This led to a grass-roots movement that has been steadily growing called We Need Diverse Books. It was launched on a single day in April when people from around the country were invited to submit photographs of themselves and their children holding a sign that read “We Need Diverse Books.” The #WeNeedDiverseBooks Twitter campaign inspired a visual rainbow of readers, and sent a message to the children’s book publishers. It said: This is what your readers look like. We’re diverse. And we need diverse books. Are they having an impact? They are certainly raising awareness among the general public and within the publishing industry. When the finalists for the National Book Awards were announced, four of the five book included main characters of color, and the fifth had a secondary gay character. Would the same five books have been selected a year ago? It’s possible. After all, they are all excellent books in their own right. But in an era when 80% of the new children’s books published each year are exclusively about white characters, it’s significant that in 2014 we have four out of five award finalists about characters who are not. Book awards do make a difference. They bring fortune and fame to the authors and profits to publishers. Ultimately it might be the few individuals serving on an award committee who have the most power of all. Want more diverse books? Recognize them with more awards.